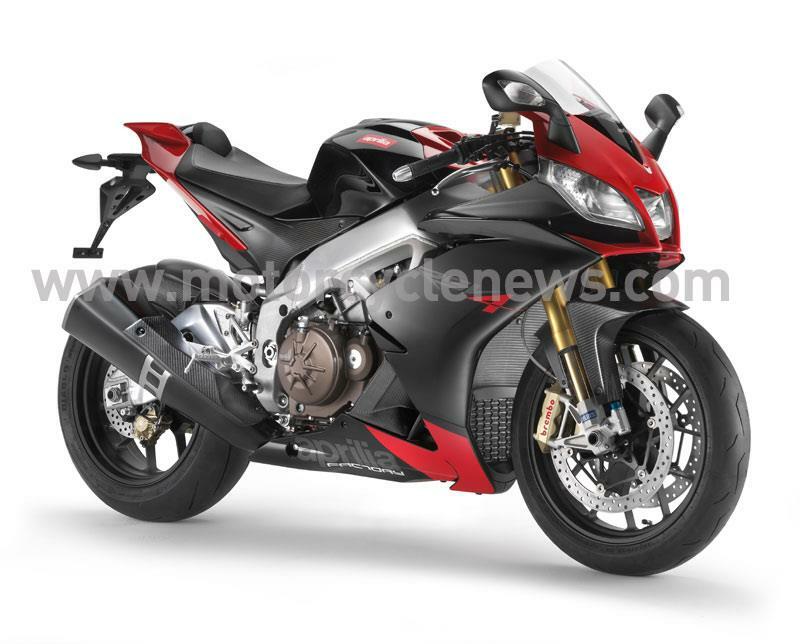 Aprilia have revealed the first official pictures of their road-going 1000cc V4 supersports machine, the RSV4. 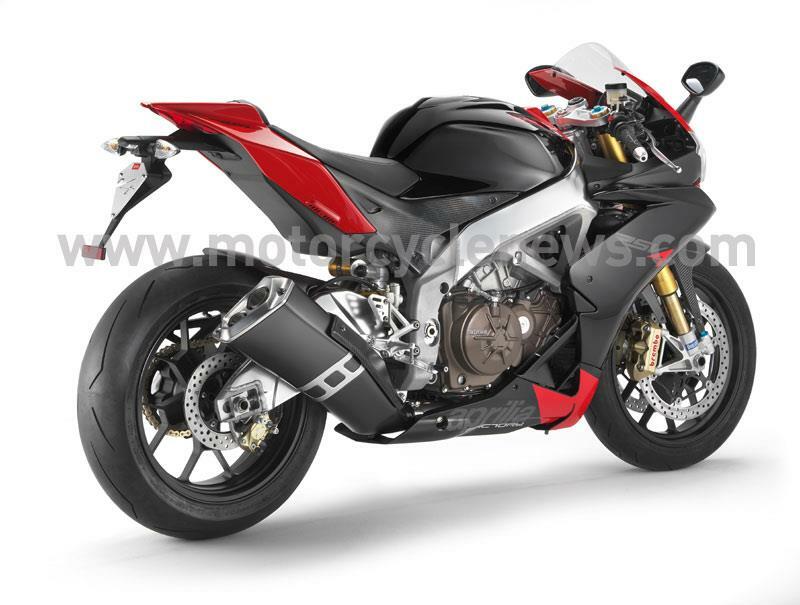 The Aprilia RSV4 is powered by an engine developed and built in-house by Aprilia. This 65° V four unit uses state of the art electronics, including multi-mapping ride-by-wire technology, a solution that offers virtually infinite opportunities for power delivery and traction control (present as standard on the racing version). The narrow V layout has led to the development of an incredibly narrow and compact engine. This in turn has permitted weight to be centralised and chassis performance dramatically improved (thanks to a short wheelbase and long swingarm). The narrow V-four configuration permits a longer stroke to be used, which Aprilia says gives benefits in terms of improved engine breathing. High engine speeds can therefore be reached without having to extend the width of the crankcase. The monobloc cylinder block features integrated liners for maximum rigidity and consistent efficiency. The air intake trumpets are variable in length. Each bank of cylinders has a servomotor dedicated exclusively to the operation of their two throttle bodies. The aperture of the four butterfly valves, and therefore the volume of air inducted, can therefore be controlled independently. This solution allows hi-tech electronic engine and power management, resulting in advanced integral traction control. A cassette type gearbox and a slipper clutch demonstrate the racing focus of the engine. The Aprilia RSV4 also offers the kind of chassis adjustability normally only found on racing machines. The variable geometry frame lets you change the headstock angle (thanks to interchangeable steering bushings) and swingarm and engine position are adjustable. The RSV4’s aluminium frame and swingarm are constructed from a mix of thick-walled parts and variable section sheet. The RSV4 also features some pretty high spec parts and big names, including Ohlins forks, rear monoshock and steering damper, Brembo monobloc brake calipers and forged aluminium wheels. Read more on the latest supersports offering from Aprilia in next week's issue of MCN, on sale Wednesday 24th September.